We installed BETTER ANGELS today, once again relying on the help of local firefighters. This time it was a group of wildland fire trainees. Thanks also to Bill and Dave who took four full days to drive the exhibit across country from Maryland. Tomorrow Firehouse World opens to the public and the temperature should inch up to the high 70s. 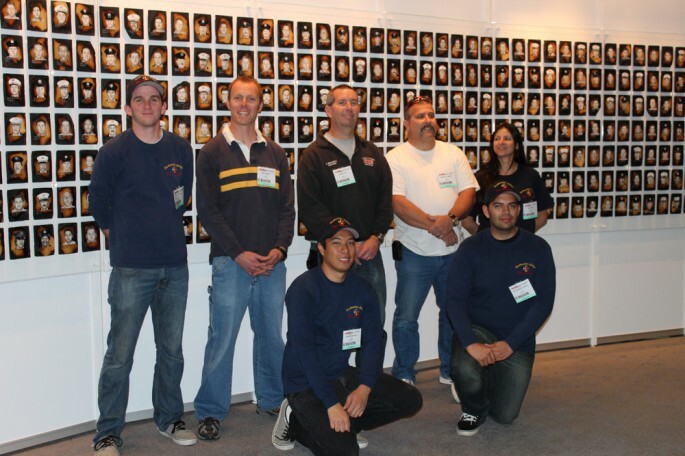 This entry was posted in Firehouse World, Uncategorized and tagged 343, 9/11, better angels, Dawn Siebel, FDNY, firefighter, firefighters, firefighters of 9/11, Firehouse World, LODD, memorial, NFFF, paintings, PSOB, San Diego, World Trade Center, WTC. Bookmark the permalink.